Travel has always been important to us. 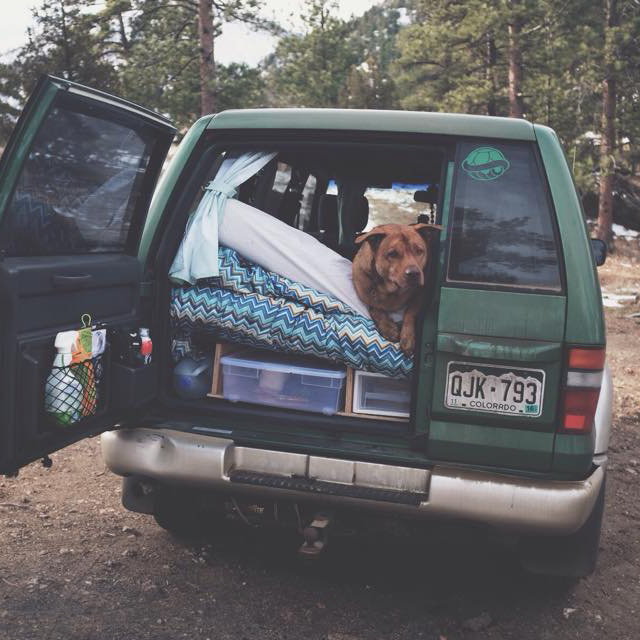 We’ve been in love with the idea of converting an SUV into a short term camper for a while, and in 2015 we finally pulled the trigger and bought a 1998 Isuzu Trooper. So why an Isuzu Trooper? Several reasons, but one of the biggest was four wheel drive. Moab, Utah is one of our favorite places in the world, and we hated the idea of not being able to see certain areas because our Rav4 couldn’t handle it. So we wanted something that had some serious off road chops, 4 wheel drive, a large enough space for a futon mattress, and as much head room as possible. The Trooper was the perfect match. After looking at a few dealerships, we found a private seller advertising a used Trooper in great shape. The best part was the price- under $3k! Spoiler alert- this car has provided us far more than that in enjoyment. Excited about our new home away from home, we quickly got to work and began customizing our new camper. 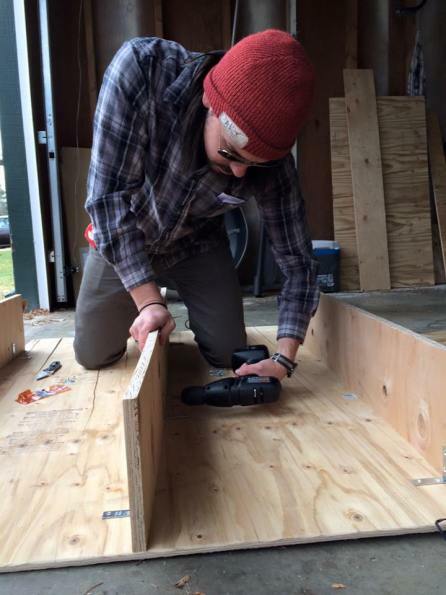 After removing the seats, we built a platform for our mattress and added two spaces for drawers. Some string lights, Tiff’s handy home sewn drape system, and a trip to the container store later, we were more or less done! 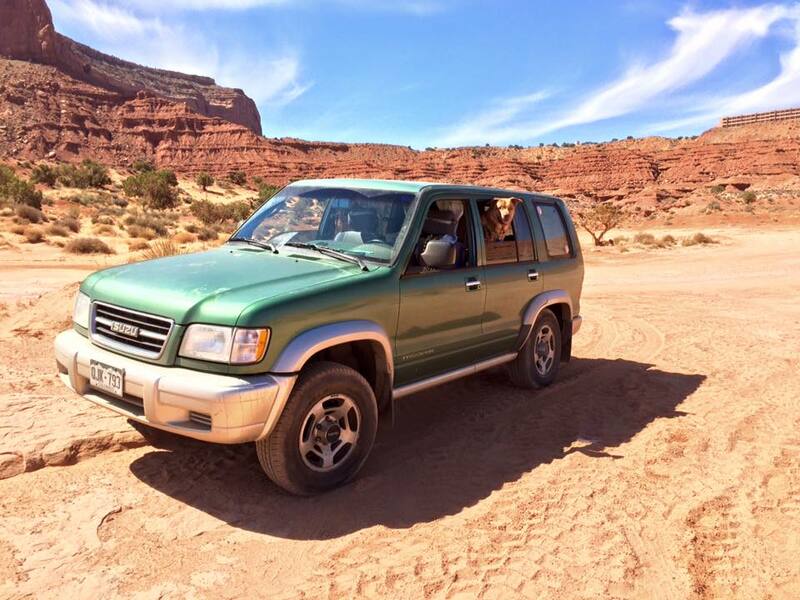 After a few short test trips we were confident enough to take the trooper out to Moab and go back to the road that made us jealous in the first place. The below video was our first major trip in the Koopa Trooper. 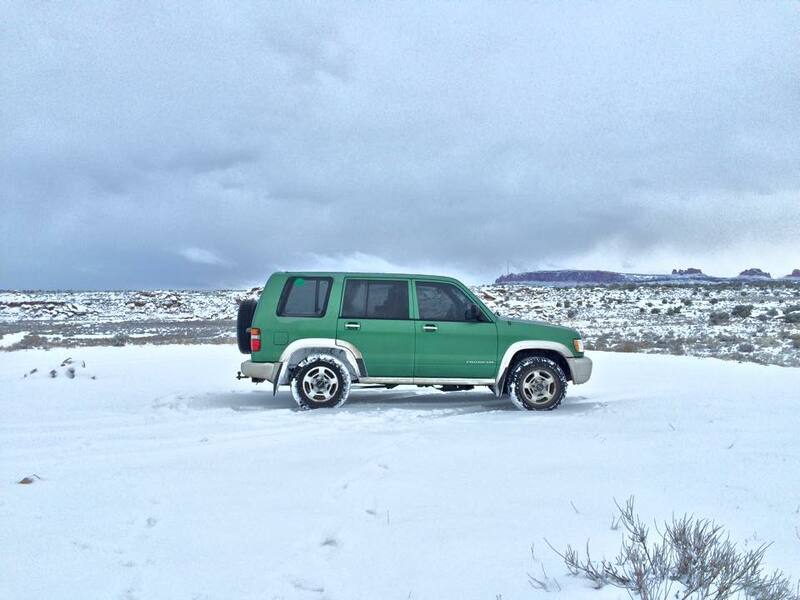 As you can see in the video- the Trooper tackled deep snow and rugged roads while not skipping a beat. The Trooper was (and still is) a symbol of freedom for us and gave us the ability to visit far away areas for longer periods of time. It provided us with shelter and reliable transportation-all in one vehicle. Its this liberating feeling that led us to consider a school bus as a full time home and vehicle. We owe the Koopa Trooper a lot.